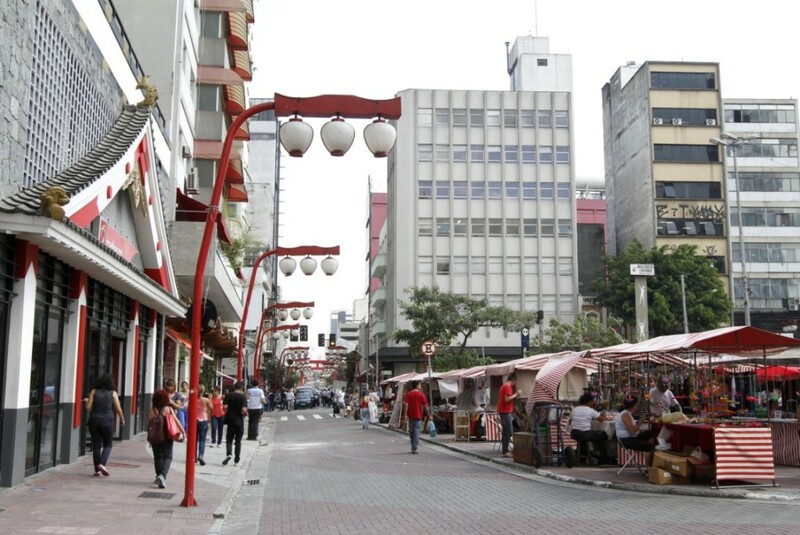 São Paulo, just like Brazil, is marked by the mix of people from different nations that have added up their inheritances to form the identity of the Paulistano. Currently, there are over 70 countries that have left its legacy on architecture, culinary, sports and among many other aspects of the city. Culture was impacted by German classic music; which arrived in São Paulo – more specifically Santo Amaro – in 1827. Italians brought opera and lyrical singing; which came to Brazil in the 1870s, mainly through the South and Southwest of the country. Still from Italy, there was the influence on fine arts (plastic arts), with Alfredo Volpi and Victor Brecheret that have contributed to the modernist movement. This mix was responsible for elevating São Paulo to its current status of Latin America’s cultural capital. 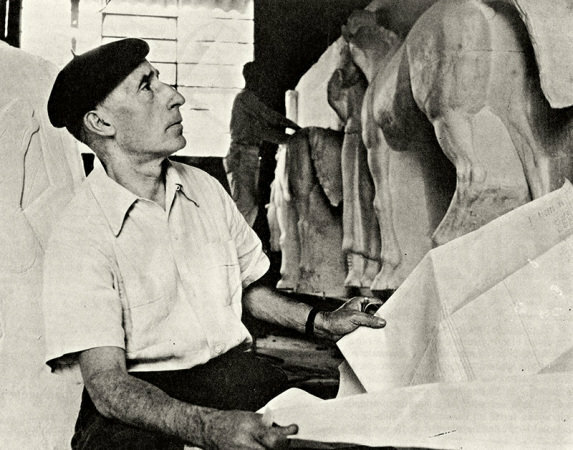 Victor Brecheret in his atelier in the 1950s. Photo: Acervo Fundação Escultor Victor Brecheret. In trade business, the German and French, which had the beginning of their immigration in the 1880s, would import fabric and were bakers, confectioners and leather tanners. The Germans were also the main responsible for the production of paper and beer. The arabs, which started their immigration between the end of the 19th century and the beginning of the 20th century, worked as peddlers selling hats, clothing, watches, fabrics, jewelry and other products at the popular regions of commerce, like 25 de Março street. Up until today, they remain around with similar businesses at the region. Liberty Square. Photo: José Cordeiro / SPTuris. Now, the Jewish community, which would sell high standard clothing and fabric, had their immigration from the beginning of the 19th century until the first half of the 20th century. In São Paulo, they established their roots in Higienópolis, where their most important consumers would reside, the Coffee Barons. Nowadays, the neighborhood still holds a high number of Jews and their descendants. The Japanese, which have arrived in São Paulo at the start of the 20th century, started working as barbers, shoemakers, laundrywomen, maids, besides making handicraft products. They settled on the Downtown region, at the neighborhoods of Liberdade and Glicério. When the subject is sports, some of the city’s main clubs were founded by Arab immigrants; such as the Libanese (which established Monte Líbano and Clube Homs) and the Syrians, (which have created Esporte Clube Sírio). Palestra Itália (current Sociedade Esportiva Palmeiras), Espéria and Juventus were founded by the Italian community, and Pinheiros, by Germans. The Portuguese established Associação Portuguesa de Desportos and the Jewish community created Hebraica and Círculo Macabi. On culinary, many usual ingredients on the Paulista cuisine had their origins on Southeast Asia, like rice, orange and eggplant, among others, all brought along by the Portuguese and Spanish settlers. Other foods, like pastas and pizzas, came from Italy and have become a specialty on Paulistanos’ tables. Due to the influence of culinary from all over, the city of São Paulo is considered one of World’s Gastronomic Capitals. Currently, São Paulo has become an example of hospitality for other Brazilian cities and from other parts of the world. Different cultures, habits religions and traditions were brought with the first immigrant and have blended into the life of the Paulistano, which harmoniously gets along with those who chose to call São Paulo home. On the Brazilian lands settlement process, Portugal had to overcome several shortcomings in the formation of economically active regions. Hence, it had initiatives from representatives of its projects, from Native Americans that assisted in the acknowledgement of territories and Catholic Church itself; which participated actively on the development of the first settlements. 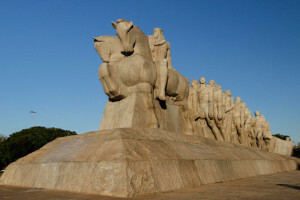 Monument in tribute to the Bandeiras. Photo: José Cordeiro / SPTuris. The Bandeirantes were men that, at the beginning of the colonization, were used by the Portuguese with the purpose of fighting rebel Native Americans and runaway slaves. They would leave São Paulo and São Vicente and head towards the inner parts of Brazil; navigating Tietê river as its major access point. The name given for these expeditions was Entradas ou Bandeiras. The difference between both is that the Entradas were official expeditions put together by the Government, as in the Bandeiras were financed by private men, most of them plantation owners, mine owners and merchants. However, both had as its main purpose to capture Native Americans and seek for precious metals and stones. Nevertheless, the Bandeirantes became historically known as the responsible for the conquest of the majority of Brazilian territory. The first Jesuits arrived in Brazil on 1549, with the mission of evangelizing Native Americans as well as educating and comforting spiritually the settlers and European Christians that started Brazil’s colonization process. It is attributed to the Jesuits the foundation of important villages and cities in their missions – religious practices with the fundamental purpose of propagating Christinanism amongst non-Christians. 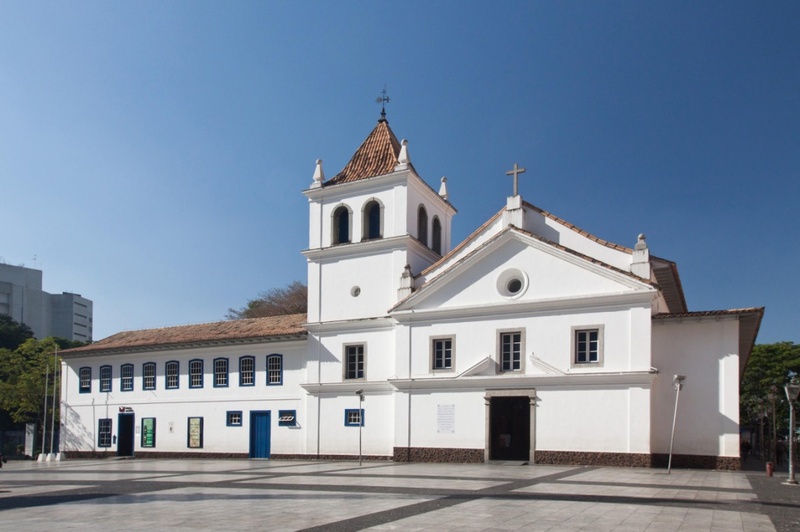 On January 25th 1554, the Jesuits, led by José de Anchieta, performed an Eucharistic Celebration for the inauguration of the Colégio dos Jesuítas (Jesuit School), at the location which later would become Pateo do Collegio. In this way, the city of São Paulo was founded. Nowadays, the Pateo do Collegio is a historical-cultural-religious complex that belongs to Companhia de Jesus, and it has turned into a reference in terms of the preservation of the historic memory regarding the origins of the city of São Paulo. Pateo do Collegio. Foto: José Cordeiro/SPTuris. The coffee production is directly linked with the city’s development. The coffee bean arrived in Brazil on the 18th century, brought from the French Guiana. After going through the North of the country, being Belém the first destination, the plantation of coffee got to the south and southeast of the country. With favorable climate conditions, the ‘black gold’ found proper conditions at west of Paulista territory: terra roxa (purple land region), communication and easy flow through the Porto de Santos (Santos Harbor). It was in 1817 that the capital had its first coffee farm, at Vale do Rio Paraíba do Sul. During the 19th and 20th century, coffee was the main economic base of the capital and Brazil. The coffee plantations brought a favorable scenario to invest in the constructions of harbors, railways and development of inner market. The ‘Coffee Cycle’ relied on slave work from the African slave trafficking ships. 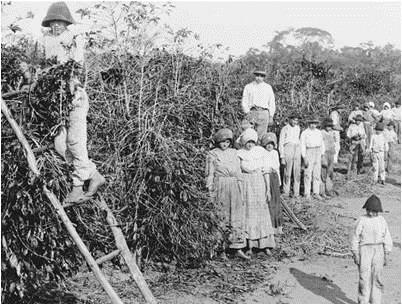 After the signing of Lei Eusébio de Queirós in 1850, which put an end to African slave trafficking in Brazil, the landowners started to employ immigrants. Still in the 1850s, farmers employed German and Swiss immigrants. Later, there was an enormous Italian immigration, resulting from the unification conflicts from the country that had its resolution in 1870. However, it was in 1880 that the immigration process got really intense. This was due to São Paulo’s Government initiative of paying the immigration expenses and investing on the construction of the Hospedaria do Imigrante, which was opened in 1885, on the neighborhood of Brás. Hence, by the 20th century, São Paulo employed immigrant labor force from Europe and Japan. Grain producers gathered a large amount of capital and invested in their own coffee production, on promoting spectacles to Brazil and on the construction of majestic houses. The Coffee Barons, as they were called, started to build their houses in the city, in between the rural estate and the Porto de Santos (Santos Harbor), highlighting the ones located in Avenida Paulista. The architecture was inspired mostly on France, as also other European countries. Little by little, constructions like Viaduto do Chá, in 1892, and Estação da Luz, in 1902, connected the major points of the capital. 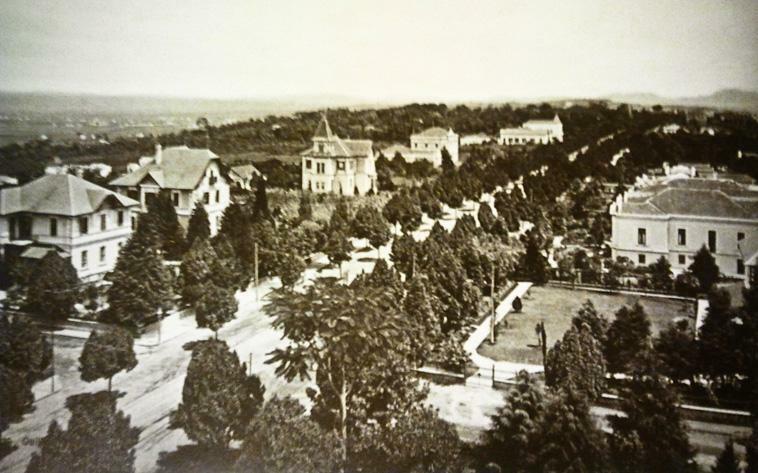 Avenida Paulista in 1905: Photo by São Paulo City Hall. The Paulista coffee farmers’ enrichment was such that they reached powers in the República Oligárquica, known as the República do Café com Leite (Coffee and Milk Republic), in which São Paulo alternated power with Minas Gerais. The crisis in production came in 1929 with the crash of the New York Stock Market; however, Brazil recovered from the blow and it is to this day considered the largest producer worldwide. June 2013 was an unusual period for the city of São Paulo that ever since 1984 didn’t have people on the streets for a cause. 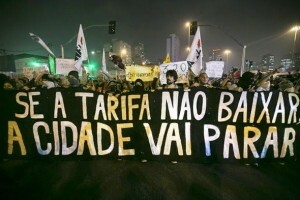 The protest’s cause began with the demand for the non-raise of the bus fares, which would go from R$3 to R$3,20. Later, subjects like corruption, the World Cup in Brazil, health and quality in education were among the battle cries of the protesters. Organized by the Movimento Passe Livre (MPL), the demonstrations had a young and politically impartial aspect to it. It is worth it to mention the importance of social medias on the movement organization. Before popular pressure, the Government retreated and the fare remained R$3. The Brazilian population used to live on a Militar Regime since 1964 and on the year of 1984 there would be indirect vote to elect a new representative. However, the population was claiming for direct elections, which would only occur after the approval of the constitutional amendment proposed by Representative Dante de Oliveira. Diretas Já. Photo: Alfredo Rizutti /Estadão Conteúdo. Over a million people embraced the caused and occupied the streets of Praça da Sé, on the 16th of April of 1984, in a movement known as “Diretas Já”. However, on the 15th of April, the amendment wasn’t approved and, on January 15th 1985, Tancredo Neves was elected by indirect vote. Due to a sickness he was carrying, Neves died before taking the position, which fell into the hands of vice-president José Sarney. In 1989, with the new constitution established in 1988, the population had its victory: the first direct election were carried on after two decades of dictatorship. 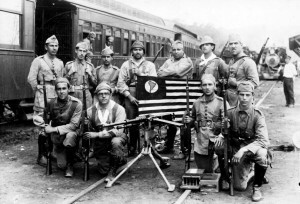 The Revolution of 1932 was a direct consequence of the political context of 1930. At the time, the República Oligárquica was at state, characterized by the alternance of power among Paulistas and Mineiros, which constituted the elite of the country (São Paulo due to its coffee production and Minas Gerais for the cattle farming and milk production). Nevertheless, instead of Júlio Prestes taking over the Government, a coup gave powers to Getúlio Vargas from Minas Gerais, which ruled in an authoritarian way. His government became known for its promise to elaborate a constitution and promote straight elections for president. The non-fulfillment of these measures made thousands of people take over the streets of São Paulo starting on May 1932. Among the demands there was also the request of leave for the Pernambucano provisional governor João Alberto in order to appoint a Paulista provisional governor. In this demonstrations scenario, there was a strong police repression on May 23rd; which led to the death of four students: Martins, Miragaia, Dráusio and Camargo – MMDC, that became a symbol of the movement. The deaths led to a popular uprising and became the trigger for, starting at 9th of July, the Revolução Constitucionalista (Constitutional Revolution). The movement lasted until October 4th of 1932 and was marked by the Paulistas’ surrendering. As a tribute to the victims of this civic event, the city of São Paulo began the construction of the Obelisco dos Heróis (Obelisk of Heroes) in 1947, which was inaugurated in 9th of July in 1955, even though it was concluded in 1970. Located at Parque do Ibirapuera, the monument keeps the mortal remains of some combatants, including MMDC. Besides this, the streets 23 de maio and 9 de julho make reference to the meaningful dates of this movement. 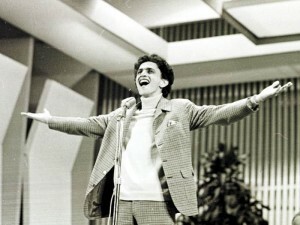 Caetano Veloso at Festival da Record. Photo: Wilson Santos/CPDOC. The city of São Paulo can be considered one of the predecessors on the cultural art movement that questioned Brazilian contraditions, on an archaic and modern country, which lasted from 1967 to mid-1969. It was on the third edition of Festival de MPB da Record (Record TV Station MPB Festival) that the movement caught the public’s attention. At the time, Caetano Veloso sang Alegria, Alegria playing electric guitars, one of the American Imperialism symbols. On October 20th 1951, Avenida Paulista would get the Primeira Bienal Internacional de São Paulo, composed by 1800 works from 23 countries, besides the National artistic production. Considered the first major exposition of modern art outside Europe and United States, the event had as a purpose to insert Brazilian art on the world scenery and place São Paulo as an Global artistic center. The works of Pablo Picasso, Alberto Giacometti and René Magritte were in Brazil for the first time ever. 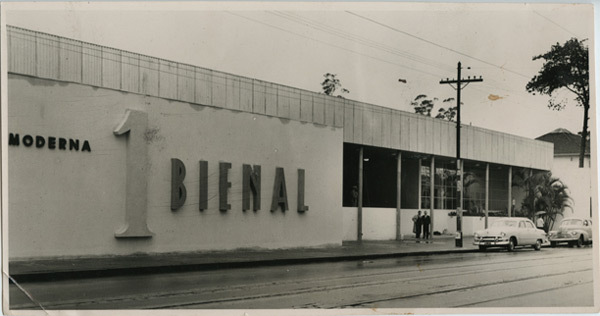 The Bienal happened on a Pavilion in Parque Trianon, where Masp stands today. Organized by the Museu de Arte Moderna, it had as its mentor the Italian Francisco Matarazzo and it was inspired on the Biennial of Viena. View of the First Biennial Pavilion. The Teatro Municipal de São Paulo was the stage for the Semana de Arte Moderna, which happened from February 11th to 18th of 1922. The art movement, which proposed changes in the literary production, also innovated on the fields of plastic arts, architecture and music. The week took place in a conflicting scenario: in one side there were the conservatives – in a context of República Oligárquica (Oligarchic Republic), the coffee farming elite didn’t want to break with the European aesthetic standards; and on the other side, the more radicals, which wanted to break with the nationalist myths. The motto of the week was put together on Oswald de Andrade’s manifesto, “Pau Brasil”, published on Correio da Manhã. Among the artists there were Anita Malfatti, Di Cavalcanti, Oswaldo Goeldi, Victor Brecheret, Mario de Andrade, Oswald de Andrade, Plínio Salgado, Menotti del Picchia, Wilhem Haarberg, Guilherme de Almeida , Vicente do Rego Monteiro, and Heitor Villa-Lobos. In 1967, the already consolidated Museu de Arte de São Paulo (Masp) changed address. It was placed at the city’s heart, on famous Avenida Paulista, in a building projected by Italian architect Lina Bo Bardi. From project to construction it took 12 years; however, they were worth it the while with the visit of illustrious Queen Elizabeth II and her husband, prince Philip of England, that came for the museum opening. The Queen was surprised with a painting of former Minister Winston Churchill, which Bardi, the museum’s president, said to have been exposed for the first time in history. 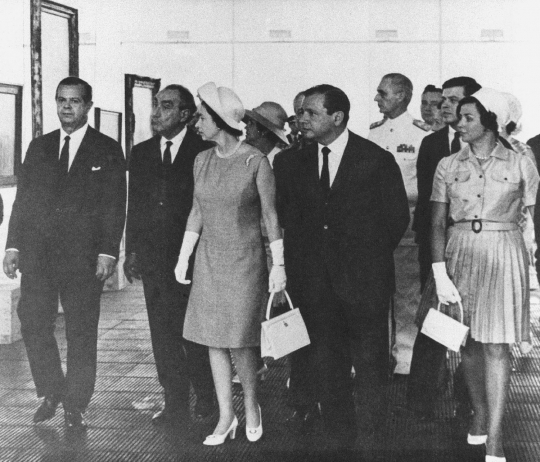 Queen Elizabeth, beside Bardi, Masp’s president. Photo: Acervo Estadão. 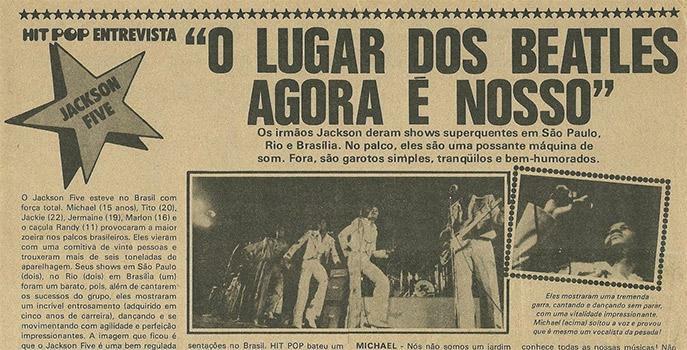 The performer was in São Paulo for the first time in September of 1974, when he was 16 years old. At the time, he was part of Jackson Five along with his brothers and had two concerts in Anhembi. The second visit happened in 1993 when Michael held two concerts at Estádio do Morumbi on the Dangerous World Tour. 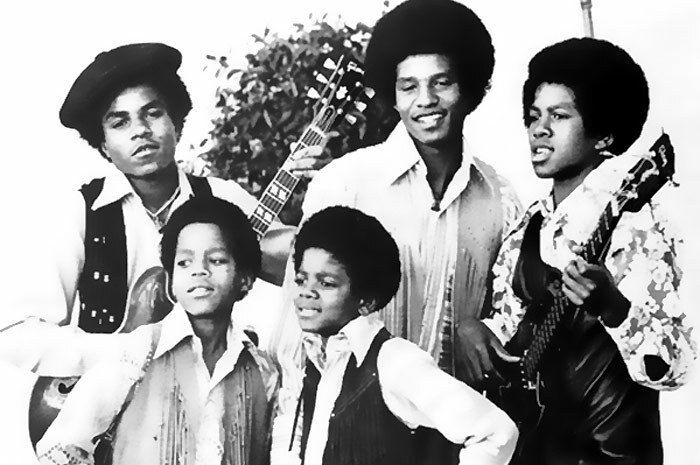 Jackson Five. Photo: Arquivo SPTuris. 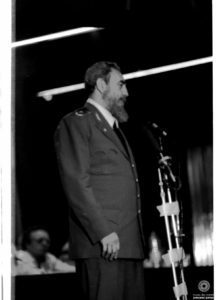 On March 18th 1990, Cuban president Fidel Castro was in São Paulo to take part in a meeting with businessmen from the Câmara de Comércio Brasil-Cuba and Catholic and Protestant religious leaders, both held at Anhembi’s Palácio das Convenções. He also joined the first anniversary of Memorial da América Latina celebrations, meetings with city mayor Luiza Erundina and political leaders, and also at the launching of the book “Religião e Democracia”. Fidel Castro. Photo: Anhembi Park Events Museum. 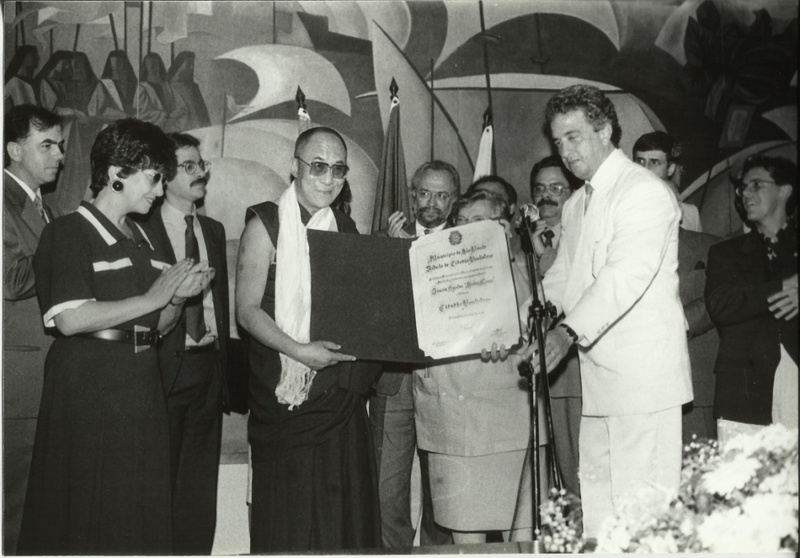 After being recognized as a paulistano citizen by city mayor Luiza Erundina, in 1992, Dalai Lama visited São Paulo two more times. In 2006, he conducted lectures and seminars on religious, cultural and scientific themes, and returned in 2011 for the seminar “Convivência Responsável e Solidária” that happened on Anhembi’s Pavilhão Oeste on September 17th. Dalai Lama gets the cidadão paulistano recognition from city mayor Luiza Erundina. Photo: Agenda da Prefeita/ divulgação. 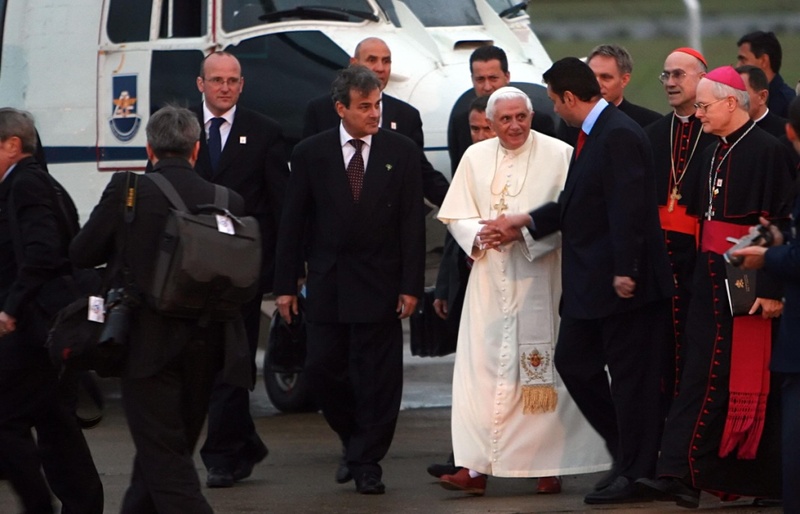 The city of São Paulo hosted, from May 9th to May 13th 2007, the illustrious visit from Pope Benedict XVI. The reason for the trip was the 5ª Conferência Geral do Episcopado Latino-Americano e do Caribe, which occurred on Aparecida do Norte (São Paulo’s countryside). In São Paulo, the Pope stayed at Mosteiro de São Bento, performing a mass at Campo de Marte for over a million of devoted people, where the canonization ceremony for the first Brazilian Saint, Frei Galvão, took place. He also visited former president Luís Inácio Lula da Silva. Pope’s arrival at Campo de Marte. Photo: Alexandre Diniz/SPTuris. Painter, drawer and teacher, Anita Malfatti was one of the great names of Brazilian modernist vanguard. Born in São Paulo in 1889, she was at Semana de Arte Moderna in 1922, always questioning the currant status quo and causing an impact with her famous artworks, like “A Boba”. 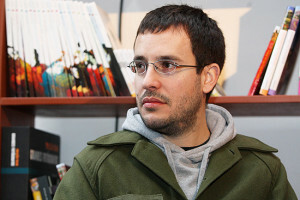 Born in São Paulo, in 1977, the writer and scriptwriter Antônio Prata dropped out in succession the courses of Philosophy (USP), Cinema (FAAP) and Social Sciences (PUC-SP). He moved to Rio de Janeiro, where he worked as soap opera screenwriter. He also worked for Editora Abril, collaborating with texts for the magazine Capricho for 6 years. He was one of the 16 participants of the project Amores Expressos, spending a month in Shanghai to write a novel. Currently he is a columnist at O Estado de São Paulo and keeps a blog on the newspapers’ website. Some of his works include: Adulterado, Pernas da tia Corália, Estive pensando, O inferno atrás da pia, Douglas and outras histórias , Merreca christmas and Meio intelectual, meio de esquerda. 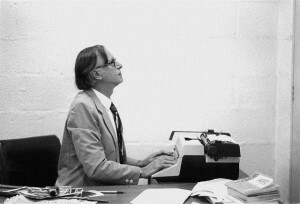 Journalist Cláudio Abramo. Foto: divulgação. Cláudio Abramo was born in São Paulo, 1923. Although he never had college education, Cláudio worked as a journalist, working in O Estado de S. Paulo and Folha de S. Paulo, later to be director at several newspapers. In time at the city’s two largest newspapers, he was responsible for the changes of style, formatting and content. He was communist by conviction, a Trotskyist, he spoke five languages and wrote fluently in Portuguese and English. He died at the age of 64 in 1987. Born in Grajaú, Southside of the city. At the beginning of his career he would go by his alias Criolo Doido, soon after his first album, he started to call himself simply as Criolo. He worked as an actor in the documentaries “Profissão MC” and “Da luz às trevas”, in which he shared the screen with Ney Matogrosso. Always stressing his origins at Grajaú, Criolo released a short film of over 9 minutes projecting the neighborhood in 30 anos. 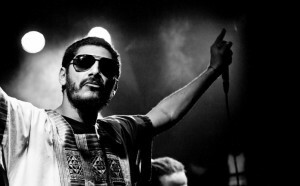 Rapper Criolo. Foto: Laís Aranha/ divulgação. Filmmaker Eduardo Coutinho. Foto: divulgação. 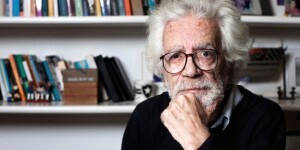 Eduardo Coutinho, one of the most important names in Brazilian documentaries, had an education that included cinema, theater and journalism, as in also going to Law School in São Paulo. His world is known for its depth and sensibility of which he approaches problems and the aspirations of the marginalized majority, whether in slums, on sertão or in the boca do lixo. Coutinho received 3 awards on the Gramado Festival for the Santo Forte and Edifício Master, besides a Kikito de Cristal for his life achievements, and twice by the Brasília Festival for Santo Forte and Peões. This goes without mentioning the critics label attributed to him as the greatest Brazilian documentary filmmaker. In 2013, as he turned 80 years, Coutinho was recognized at the Festa Literária Internacional de Paraty and on the Mostra Internacional de Cinema de São Paulo. Coutinho died in 2014, stabbed by his own son, Daniel Coutinho. Consecrated name in Brazilian television, Francisco Cuoco was born in the city of São Paulo, in 1933. He wanted to be a Lawyer but after getting in the Escola de Arte Dramática de Alfredo Mesquita he was drawn into this universe. 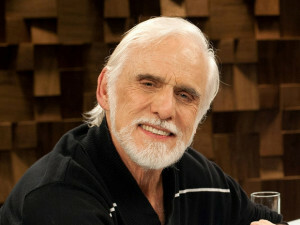 He performed at theaters, television and cinema, in films like Traição, Gêmeas, Os Xeretas , Um anjo trapalhão, Didi – O caçador de tesouros, among others. On television, he premiered in 1965 when he was the lead character of the soap opera Renúncia, broadcasted by TV Record. Later on, Cuoco participated in other television works and in 1970, he joined Rede Globo, debuting on the TV Broadcaster with the soap opera Assim na Terra como no Céu, de Dias Gomes. Actor Francisco Cuoco. Photo: Marcia Alves. Laerte Coutinho, popularly known as Laerte, is a cartoonist and satirist, considered one of the most important and influent in Brazil. Born in São Paulo, in 1951, she is the author of several famous HQ’s, like “Piratas do Tietê”. She makes punctual critics about contemporary life, always with humor touch. Besides this, she has several published works and satires in one of the main newspaper of the city. She also wrote for “TV Colosso” and “TV Pirata”. 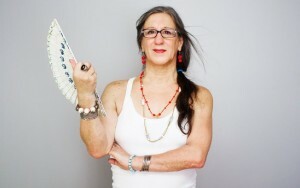 In 2012, she founded Abrat – Associação Brasileira de Transgêneros, innovating and promoting conversations and debates over the theme of transgender. 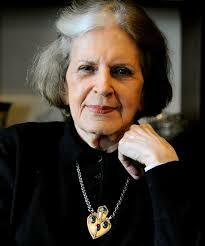 Lygia Fagundes Telles is a writer, novelist and short story teller from São Paulo. She is the major portrait of the post-modern movement in Brazil and member of Academia Paulista de Letras, Academia Brasileira de Letras and da Academia de Ciências de Lisboa. Lygia Fagundes Telles’ style is known for representing the urban universe and exploring in an intimate way women’s psychology. Writer Lygia Fagundes Telles. Photo: Jair Bertolucci. 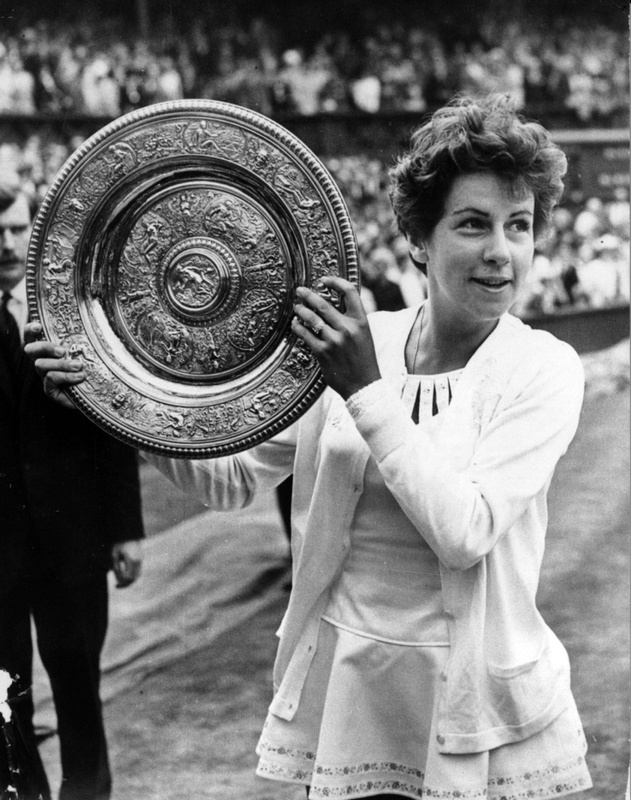 Significant name on Brazilian tennis, Maria Esther Bueno was the first woman ever to win all four Grand Slam doubles titles in one year. Born in São Paulo, she began her tennis career still very young and won her first tournament by the age of 12. By the age of 14, she was National champion. She conquered several titles and broke records during her career, and in 2012 got her last recognition: in a list of the best tennis players of the world –Tennis Channel placed the Paulistana at 38th. None of her major opponents was ahead of her. This Paulistana is the greatest Brazilian swimmer of all time. She was the first South American woman to take part in the Olympic Games, in Los Angeles, in 1932, and also the first Brazilian born to break a world record at her category. Her life in sports started in an unexpected way. She had several breathing problems and she got a medical recommendation for swimming as a kind of treatment. Hence, supported by her father, she began her trainings at Tietê River, nearby her home. 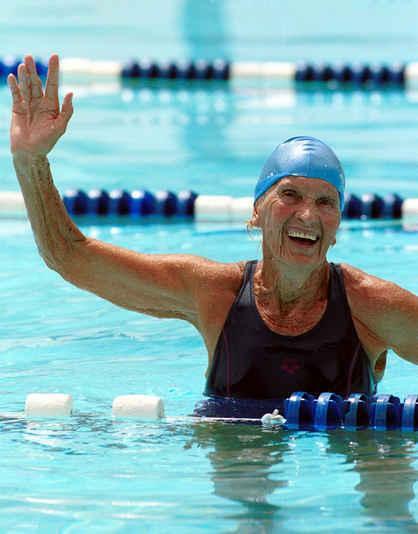 She dedicated all her life to swimming and got her name in the history of the sport and of the city of São Paulo. Maria Lenk practiced swimming her entire life. She died in 2007. Photo: Publicity. Gustavo and Otávio, known as The Twins. Photo: Jaime Rojo. 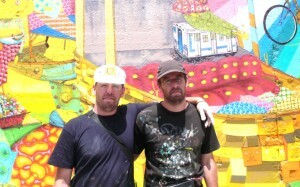 OSGEMEOS (1974, São Paulo, Brazil), Gustavo and Otávio Pandolfo, have always worked together. As kids, on the streets of traditional neighborhood Cambuci (SP), they developed a distinct way of playing and communicating through art. They explored with dedication and care the several techniques of painting, drawing and sculpture, and had the streets as their study model. They never stopped doing graffiti, however, over the course of the years, this universe created in a due, in which they dream and get inspiration, went beyond the streets evolving into their own language and in constant evolution, with references and influenced by new cultures. They held several individual and collective showings in museums and galleries of several countries like Cuba, Chile, United States, Italy, Spain, England, Germany, Lithuania and Japan. 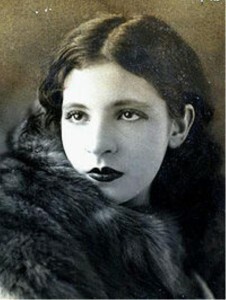 Patrícia Rehder Galvão, also known as Pagu, was born in São Paulo on 1910. 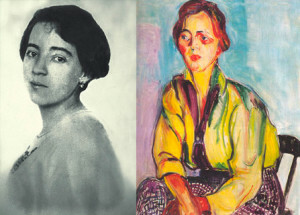 Writer, journalist, translator and drawer, she was one of the great women of the Brazilian modernist movement, even though she didn’t actively participated on the Semana Moderna of 1922. A Communist Party activist, Pagu was also part of the anthropophagic movement of the time, alongside with her husband Oswald de Andrade. She fought for labor rights and wrote several essays and books, some of which under the alias Mara Lobo. She lived on the neighborhoods of Liberdade, Brás, Aclimação and Bela Vista, spending the last days of her life on the coast, at the city of Santos. By the end of 80s, a new Rap Music group came along, Racionais MC’s, composed of Mano Brown, Ice Blue, Edi Rock and DJ KL Jay. In 1991, there was the release of their first album, called Holocausto Urbano. 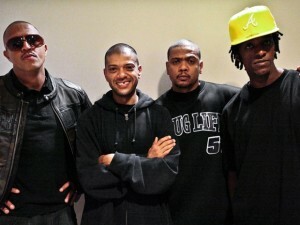 The group performed at Febem and was a special guest at the Public Enemy’s concert, at Ginásio Ibirapuera. In the following year, it took part in the project RAPensando a Educação developed by the Secretaria da Educação to discuss the daily basis life of the slums. It was with the album “Sobrevivendo no Inferno” that the band reached its peak. Committed to social causes, the band continues to report slum issues. In 2014, it celebrated its 25th year of existence. 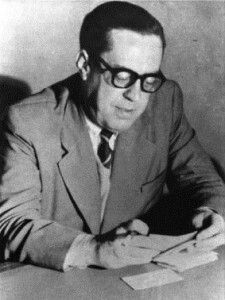 Sérgio Buarque de Holanda was a Brazilian historian, literary critic, journalist and professor. Author of the classic “Raízes do Brasil”, he was born in São Paulo, in 1902. He took part of the Movimento Modernista of 1922. He was a columnist and correspondent of several newspapers in Brazil and abroad. He wrote one of the most important historic books of the countries, Raízes do Brasil. He took over several public positions and held the cadeira de História da Civilização Brasileira, at Faculdade de Filosofia, Letras e Ciências Humanas of USP and he was the first principal of the Instituto de Estudos Brasileiros of USP.He was one of the most important Brazilian intelectuals, founding member of Partido dos Trabalhadores (PT) and father of Brazilian composer Chico Buarque de Holanda. The house in which he lived was turned into the Museu da Música Brasileira. He wrote, among others, Cobra de vidro, Tentativas de mitologia and Caminhos e fronteiras. Historian Sérgio Buarque de Holanda. Photo: Sérgio Buarque de Holanda Collection. 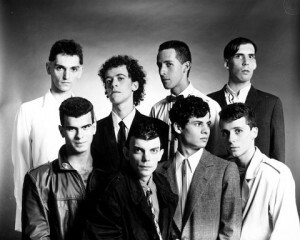 In 1981, the event “A Idade da Pedra Jovem” hosted on stage seven young men: Sérgio Brito, Arnaldo Antunes, Paulo Miklos, Marcelo Dromer, Nando Reis, Ciro Pessoa and Tony Bellotto who formed together the band Titãs do Iê Iê. At the following year, the band officially debuted on Sesc Pompéia, with its new additions of Branco Mello and André Jung. Two years later, Ciro Pessoa left the group, which then removed ‘Iê Iê’ from its name. In 1984, the band released their first official album “Titãs”. The next year, they release a new recording, having already Charles Gavin as its drummer in place of André Jung. However, it was on their third album, released in 1986, called “Cabeça Dinossauro”, in which the band reached its prime being awarded its first golden label. Titãs was the first Brazilian band to take part in the Rock Night of the Montreux Jazz Festival. 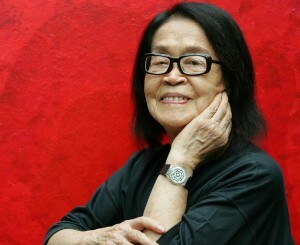 Renowned plastic artist, Tomie Ohtake, was born in Japan but got Brazilian citizenship, or to say it better, paulistana citizenship. With a career of over 50 years, Tomie always had a love affair with the city. She lived during a long while at Mooca, more precisely at Rua da Paz, where she had her atelier. Winner of several awards and author of famous artworks and installations, she was considered the “dama das artes plásticas brasileira”. Paulistanos can always remember her relation with the São Paulo by visiting Instituto Tomie Ohtake, inaugurated in 2001.